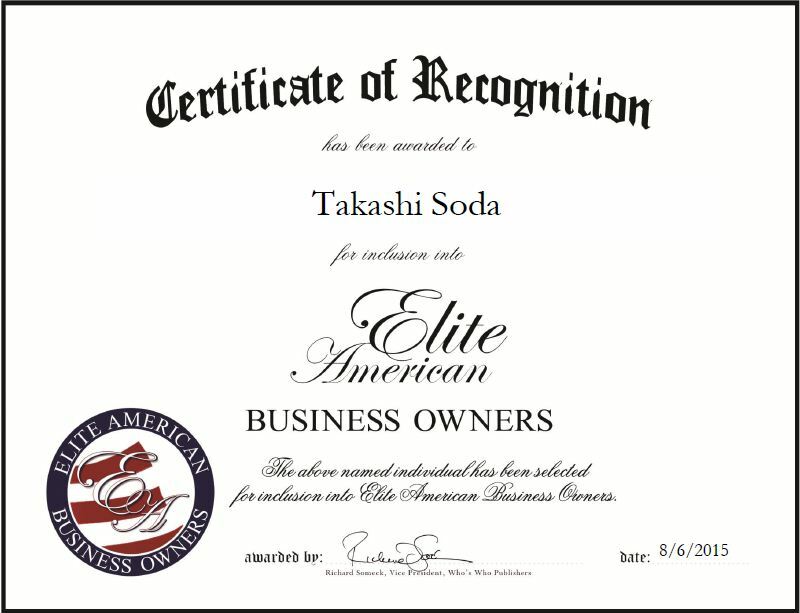 Richardson, TX, August 6, 2015, Takashi Soda, President and Owner of SUSHI SAKE, has been recognized by Elite American Business Owners, for dedication, achievement and leadership in restaurant management. Mr. 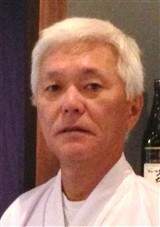 Soda has 40 years of professional experience, with 17 years as the president and owner of SUSHI SAKE. As a master of the culinary arts, he regularly creates menus and ensures that all operations run smoothly in the kitchen and restaurant. SUSHI SAKE is a Japanese restaurant that provides traditional Japanese food and a sushi bar. Mr. Soda first opened SUSHI SAKE in a small strip mall located on Campbell Road in Richardson, Texas. Years later, he moved the restaurant to a bigger building on North Collins Boulevard behind the strip mall. Mr. Soda has continuously kept his focus on quality and tradition in order to satisfy his customers. In the next five years, Mr. Soda would like to continue creating food and possibly open another location. This entry was posted in Food and Beverage and tagged Asian cuisine, culinary arts, restaurant management, sushi, SUSHI SAKE. Bookmark the permalink.